Today in History–May 19–TPS-Barat features Thomas Edward (T.E.) Lawrence, better known as Lawrence of Arabia, who died in England on this date in 1935. An archaeological scholar from Oxford, Lawrence enlisted in World War I and was sent to the middle east because of his familiarity with the region. 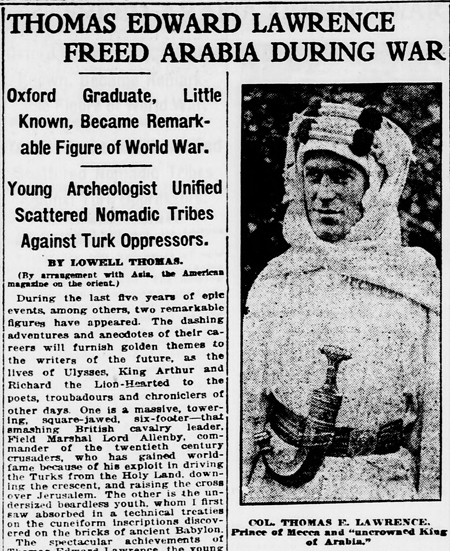 One newspaper proclaimed him to be the liberator of Arabia but the story may be more complicated. Click the links below to discover more.